We offer a wide array of fruit available to pick, including strawberries, nectarines, plums, apples, peaches, grapes, tomatoes, eggplant, peppers, squash, and pumpkins, along with colorful flowers too! Delicious baked goods, including cookies, pies, breads, apple dumplings, and more! We make some of the best apple cider donuts in the Hudson Valley, freshly made all day and served to you warm! We were voted to have the Best Apple Cider Donuts in the Hudson Valley by Hudson Valley Parent Magazine in 2018! Fresh brewed coffee, tea, and hot apple cider for your enjoyment. Local farm products including a vast array of jams, jellies, salsas, barbeque sauces, specialty ketchups, mustards, pickles, honey, maple syrup, fruit crisp mixes, and more. Candles, hand and body lotions, all natural sugar scrubs and foot scrubs, and soaps. 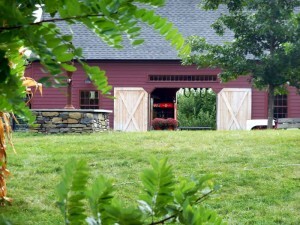 And don’t forget to visit the Tavern at DuBois Farms, open weekends from 12 – 5 pm! We’re pleased to offer a variety of the best local wine, hard cider, and craft beer for your enjoyment! Below please find a list of festival dates and the availability of different varieties of fruit and vegetables to pick. The website is updated as availability is determined, so please continue to check in closer to the date you would like to visit us. June: Strawberry Picking – All New at DuBois Farms in 2019! We’ll keep you posted as to the opening day and the schedule for strawberry picking! Come and visit us to pick from our beautiful crop of delicious peaches and a variety if vegetables, including tomatoes, eggplant, peppers, and squash, as you enjoy the tranquility of the farm! 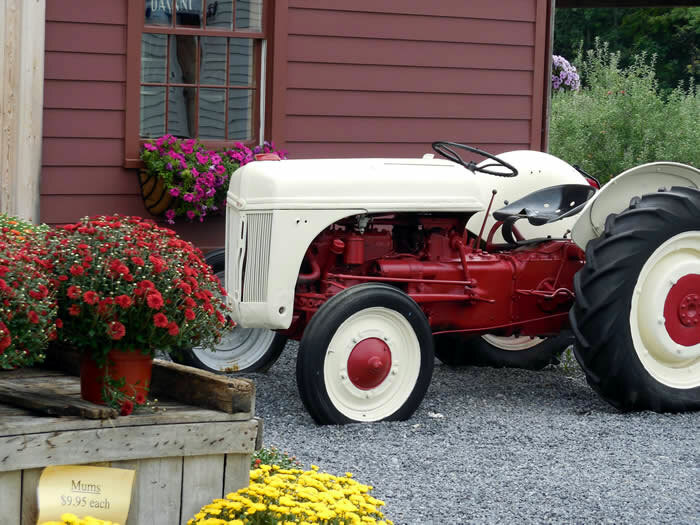 Kids can play on the new wooden tractor and wagon in Tiny Town and everyone can enjoy a delicious barbequed lunch and visit the farm animals. Bring the whole family to DuBois Farms and enjoy picking peaches, nectarines, apples, assorted veggies, and beautiful flowers! The 8th Annual Classic Car Show from the Dutchess Cruisers Car Club will be held on Saturday! Everyone goes crazy for our Honey Crisp apples and we have a beautiful and bountiful crop this year! Come and pick from several varieties of apples, peaches, nectarines, tomatoes, assorted veggies, and colorful flowers this holiday weekend. We have a great crop of Honey Crisp, the all-time favorite apple, so we’re holding another festival weekend in its honor! Come this weekend and pick 3 varieties of apples including Honey Crisp, peaches, Bartlett pears, Concord grapes, tomatoes, assorted veggies, and colorful flowers! Buy two FULL 8 quart baskets of tomatoes, get the third 8 quart basket of tomatoes FREE! We’ll have a fabulous variety of fruit for you to pick this weekend including apples, peaches, pears, grapes, and tomatoes, as well as beautiful flowers! Buy two FULL 1/2 bushel bags of apples, get a 1/2 gallon of apple cider FREE! Live music from acoustic singer, James Patrick on Sept. 15! Come and celebrate the beginning of fall at DuBois Farms! We’ll have lots of apples, peaches, grapes, and tomatoes to pick. Plan for all of your fall decorating with a plethora of pumpkins and colorful mums a-plenty! Buy two FULL 1/2 bushel bags of apples, get a 1/2 gallon of apple cider FREE! Welcome fall by picking lots and lots of apples, grapes, and tomatoes at the farm, and decorating for the season with pumpkins and colorful mums! And don’t forget hot apple cider and delicious apple cider donuts! Buy two FULL 1/2 bushel bags of apples, get a 1/2 gallon of apple cider FREE! Live music from acoustic singer, James Patrick on Sept. 29! The weather is crisp and cool, perfect for apple, grape and pumpkin picking and hot apple cider and apple cider donuts at the farm! Buy two FULL 1/2 bushel bags of apples, get a 1/2 gallon of apple cider FREE! Live music from acoustic singer, James Patrick on Oct. 5! Share your three day weekend with us as we pick from 10 varieties of apples, grapes, and, of course, tons of pumpkins in time for Halloween and fall decorating! Buy two FULL 1/2 bushel bags of apples, get a 1/2 gallon of apple cider FREE! Live music from acoustic singer, James Patrick on Oct. 12! Varieties of apples to pick from are Golden Delicious, Ida Red, SnapDragon, Ruby Frost, JonaGold, Winesap, Cortland, Empire, Ashmead’s Kernel, Cox’s Orange Pippin and Mutsu. We still have lots of apples on the trees so come and pick from many varieties, including Gold Rush, Golden Delicious, Ever Crisp, Pink Lady, Fugi, Empire, Cortland, Northern Spy, Ida Red, Wine Crisp, and Ruby Frost. Buy two FULL 1/2 bushel bags of apples, get a 1/2 gallon of apple cider FREE! And, of course, we’ve got lots and lots of pumpkins to pick in time for Halloween and fall decorating! Live music from acoustic singer, James Patrick on Oct. 20! Join us for our Halloween Fun Festival for lots of apple, grape and pumpkin picking! Children in costume get a prize! Come and enjoy picking many varieties of apples from the trees, including Gold Rush, Golden Delicious, Ever Crisp, Pink Lady, Empire, Northern Spy, Ida Red, and Wine Crisp! Buy two FULL 1/2 bushel bags of apples, get a 1/2 gallon of apple cider FREE! Buy two FULL 1/2 bushel bags of apples, get a 1/2 gallon of apple cider FREE!